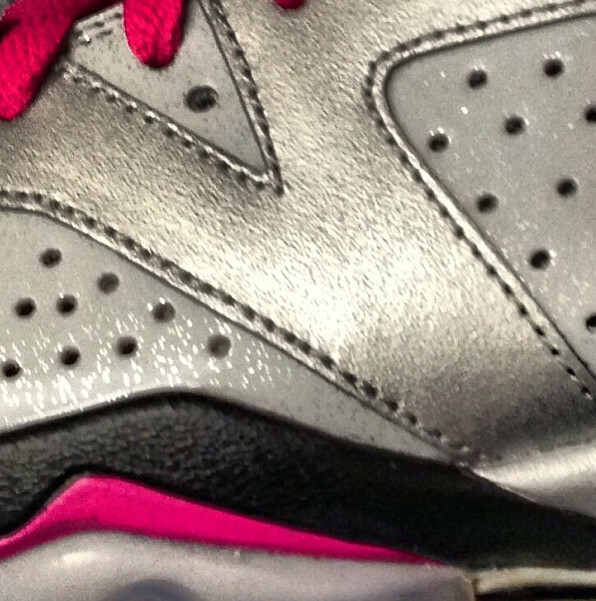 We're provided with an extremely early look at one of next year's Valentine's Day releases from the Jordan Brand. The interesting grade school Air Jordan 6 Retro features a metallic finish upper in dark grey, along with hot pink laces and matching accents along the midsole below. The Jordan Brand's usual basketball heart Valentine's Day branding is stitched into the heel, while a translucent outsole sits below. 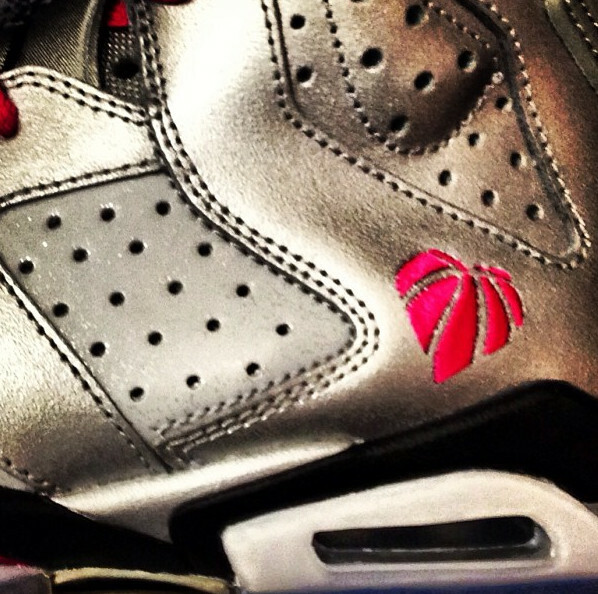 Stay tuned to Sole Collector forfurther details on the "Valentine's Day" Air Jordan 6 Retro GS.